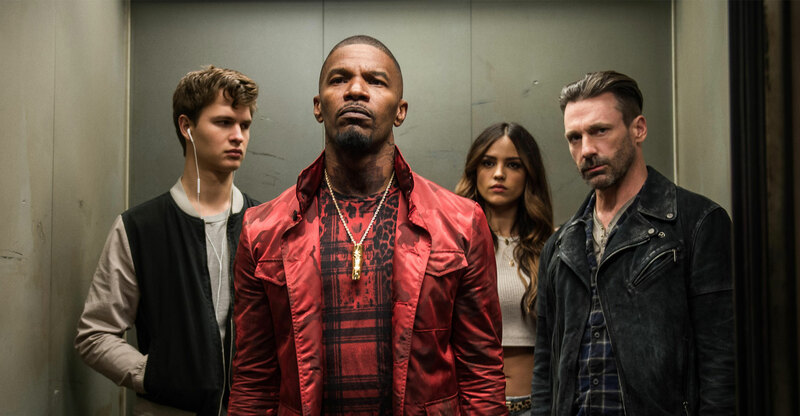 A two-hour film mostly made up of “Mickey-Mousing” — synchronising the actions on screen to the accompanying soundtrack — sounds like a cheesy idea, but Baby Driver pulls it off. It’s one hell of a ride from the opening robbery — set to The Jon Spencer Blues Explosion’s Bellbottoms — to a climactic confrontation scored to the bombast of Queen’s Brighton Rock. Edgar Wright’s new film is an affectionate tribute to the greats of heist cinema, just as Shaun of the Dead was a love letter to Romero’s zombie classics and Hot Fuzz to the buddy cop films of the 1980s and early 1990s. Think of it as a quirkier, cockier cousin to the moody, deadpan Drive (2011), sharing many of its genes — Bullitt, The Driver, Heat, To Live & Die in L.A. — but differing vastly in looks and personality. The driver in question is Baby (Ansel Elgort), a smart-mouthed, baby-faced speed demon who drives getaway vehicles for heist crews to pay off a debt to Atlanta kingpin, Doc (Kevin Spacey). Baby has tinnitus as a result of a car accident he was involved in as a child and listens to non-stop music through headphones to drown out the “hum in the drum”. When Baby meets waitress Debora (Lily James), he decides to go straight to be with her, but his accomplices won’t let him escape his life of crime. The plot is the stuff of potboilers, but Wright’s stylish execution, witty script and energetic cast set it apart from more mundane lovers-on-the-lam and criminal-tries-to-go-straight films. Elgort and James have effortless charisma and great chemistry, making them the sweetest outlaw couple since Patricia Arquette and Christian Slater ran into trouble with some coke dealers in True Romance. They’re surrounded by a memorable assortment of blockheads, psychopaths and nutcases — including Spacey’s scenery-chewing Doc, Jamie Foxx’s unhinged Bats and Jon Hamm’s hot-headed, sadistic Buddy. In between the high-octane action — of which there’s plenty — Wright makes space for humorous character moments and to develop the relationship between Debora and Baby. An exchange about the masks to be used as a disguise for one of the robberies is as funny as the best parts of Hot Fuzz, while the heist briefings with Spacey are another highlight. 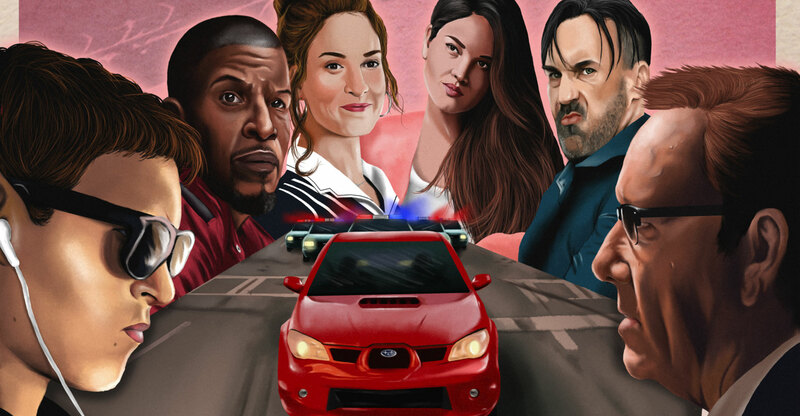 Baby Driver has enough heart to make the action and the music count — and those two facets of the film are inseparable. Wright curated around 30 songs for the soundtrack — ranging from Blur to Golden Earring (it’s hard to imagine a better car chase song than Radar Love) to The Commodores — and deploys them as memorably as Quentin Tarantino did his tracks in Reservoir Dogs and Pulp Fiction. The car chases and gunfights — masterful editing matching gunshots to drumbeats and foot-down acceleration to quickening tempos — hark back to the old-school stunts of Wright’s favourite heist films. Unlike the increasingly ridiculous Fast & Furious series, there’s not much green-screen CGI in Baby Driver. Most of the stunts are caught in-camera, giving the film the same visceral, weighty feel as, say, Ronin or The French Connection. Previous ArticleHave Google and Facebook become too powerful? Excellent review; loved the movie! It also reminded me of John Wick.